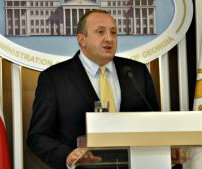 TBILISI, DFWatch–The president is starting consultations to find a new head of the National Bank of Georgia (NBG). Current NBG head Giorgi Kadagidze was appointed during Saakashvili’s presidency for a seven years term which expires in February, 2016. According to Georgian legislation, the president does the selection and then submits the candidate to parliament for approval. 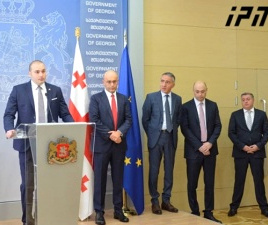 Giorgi Abashishvili, an economic adviser to the president, said at a press conference Wednesday that there will be consultations with international financial institutions, non-governmental organizations, ministries involved in economic issues, and with the National Bank itself. At the end of 2014, when the national currency lari began to rapidly drop, government officials blamed the problem on Kadagidze and accused him of an incorrect monetary policy. They were bolstered by statements made in the media by Bidzina Ivanishvili, a billionaire who is by many considered to be a ‘godfather’ to the current government. The government is not entitled to replace the president of NBG unless he commits a crime. 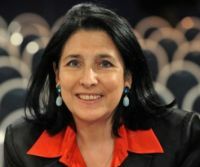 In his most recent statements, Ivanishvili said he considered arresting Kadagidze when he was PM, but representatives of the International Monetary Fund asked him not to. 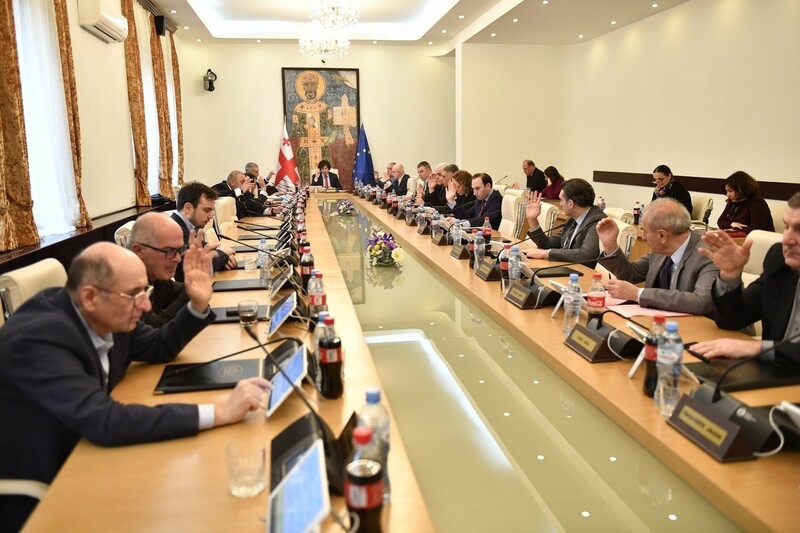 Last month, the government decided to deprive the NBG of responsibility for monitoring the banking system and instead transfer that to a new body subordinate to the prime minister – something which was done in 2008 but reversed because it was seen as not working. 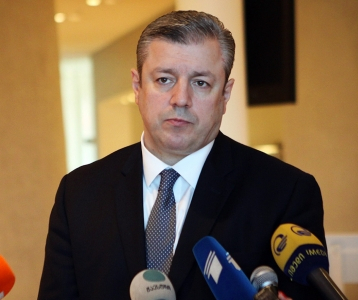 Speaking of the legislative initiative, Abashishvili said that there is not a proper argument for why responsibility for private bank supervision should be split from NBG. “We are talking about an institution which according to all international organizations is carrying out its duties on the highest level, and particularly in terms of bank supervision,” he said, adding that the initiative also contradicts an association agreement Georgia recently signed with the EU. He continued saying that the authors of the draft couldn’t name a single appropriate argument for why the change is necessary. Another point is that it is ‘concerning’ to make such a decision only a few months before Kadagidze’s term expires. 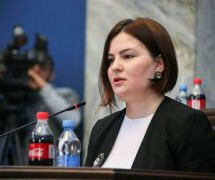 On Wednesday, Kadagidze was to have presented a report to parliament about current processes, but the session was postponed for the second time. The first time it was postponed because not enough members of parliament showed up; this time Kadagidze asked to postpone it because he is abroad.